Leaonna Odom. Photo courtesy of Duke Athletics. 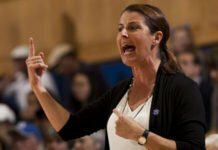 The Duke Blue Devils have encountered road blocks and obstacles before, but not many have been higher than those they will face this season. For 23 years, the program has made runs into the NCAA Tournament like clockwork. 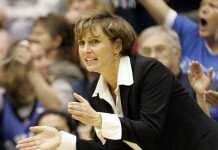 Picking up right where her predecessor Gail Goestenkors left off, head coach Joanne P. McCallie has overseen 10 Blue Devil trips to the Big Dance in 11 seasons, including four straight Elite Eight runs from 2010-2013 and three Sweet Sixteen appearances. 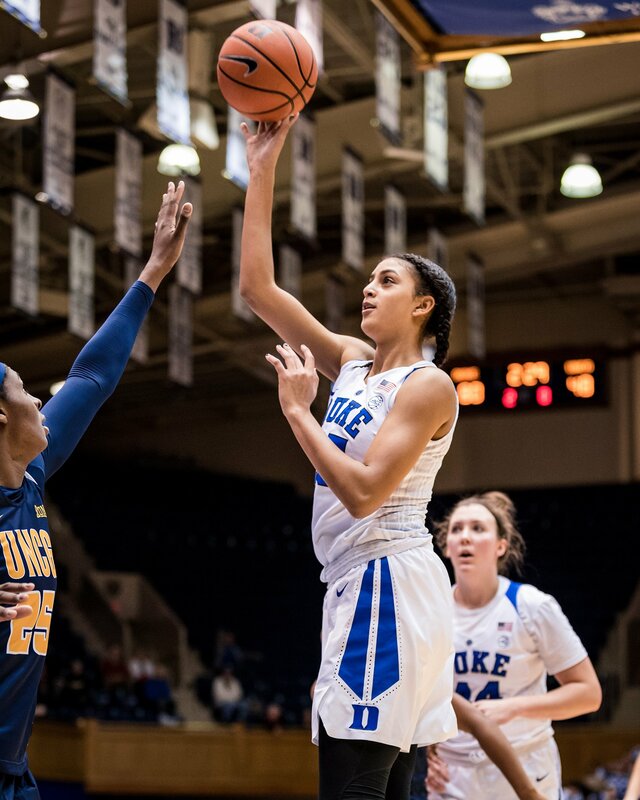 Last season, fueled primarily by the electric play of seniors Lexie Brown and Rebecca Greenwell, Duke went 24-9 (11-5 in conference) and saw the Tournament’s round of 16 before bowing out to UConn. Sustaining success, though, is never easy, and this season may be McCallie’s toughest test yet. Besides losing high-scoring Brown and Greenwell, Erin Mathias departed and is now playing professionally in Italy. McCallie needs answers for their absences, as well as for point guard Kyra Lambert, who was lost last week to a season-ending knee injury for the second straight year. 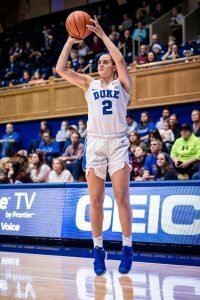 The Blue Devils will have to dig deep, both metaphorically and in a literal roster sense, if they want to maintain their accustomed level of excellence. The answer may lie in one young trio. Odom is a junior forward who averaged 9.6 points and 6.3 rebounds per game last year, while racking up 55 assists and 38 blocks. She’s athletic enough to fill multiple positions in a given lineup, with a diverse skill set and a great feel for where she needs to be on the court. Haley Gorecki. Photo courtesy of Duke Athletics. Gorecki, a redshirt junior, put up 11 points per game despite only 13 starts in 2017-18. A lot of that production came from outstanding shooting: .423 from behind the arc, which she’ll need to continue while bearing a larger share of the offensive burden this season. Williams is a talented sophomore who will assume full-time duties as Duke’s starting center this season. An All-ACC Freshman Team selection last year and tabbed to the Lisa Leslie Award watch list ahead of this season, her presence in the paint will be a critical component of McCallie’s evolutionary plan. 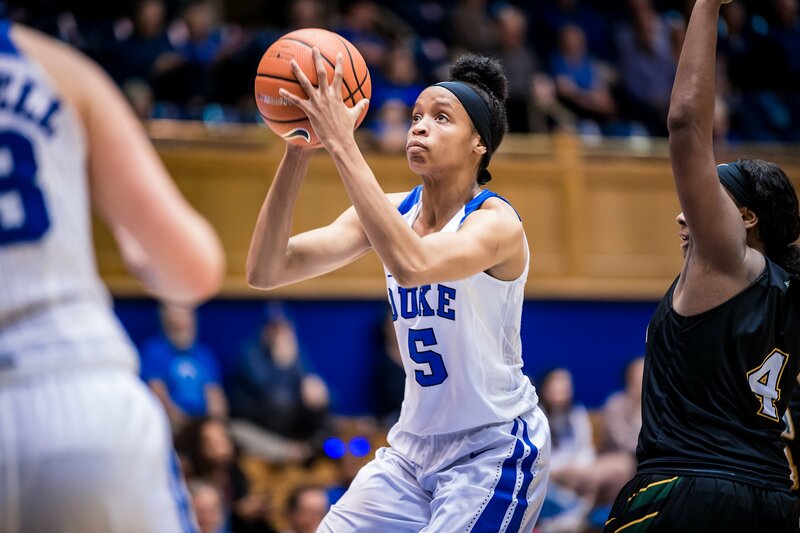 The Blue Devils are also eager to have Mikayla Boykin back in the mix. The redshirt freshman saw her debut campaign cut short by an ACL tear last year, but she lived up to her long list of high school accolades (Gatorade North Carolina Player of the Year, North Carolina Miss Basketball, American Family Insurance ALL-USA North Carolina Girls Basketball First Team) while starting eight of ten games prior to the injury. Clocking 4.6 points, 3.2 rebounds and some steals and assists here and there, AND apg, along with 1.2 steals, Boykin flashed serious potential as a versatile perimeter player. If this year’s theme is evolution, it stands to reason the incoming freshmen will have a chance to make their bones early on, and Duke has every reason to be optimistic on that front. A note on Goodchild: The guard from Queensland, AU just led her U18 national squad to a bronze medal in the FIBA Asian Championship by tossing up multiple 20+ point games, including a 21-point, nine-rebound performance to secure Australia’s third-place finish. Other freshmen are also in the mix. Jade Williams. Photo courtesy of Duke Athletics. It’s not just a next-player-up situation, though, as McCallie said she will reconfigure her lineup for maximum efficiency. On the other end of the floor, the Blue Devils held opponents to 56.3 points per game last year – a defensive performance which was no small part of their +12.5 scoring margin. In spite of the losses of talent and depth, Duke looks ready to lean on their mix of young talent bolstered with some veteran experience to roll deep into March once again. McCallie is aware of what her team is facing, but by no means daunted by it. “There is no ceiling. I think that this team is a dagger team, a dangerous team.,” she said. If history is any indication, she is probably right about that. Next articleTwo days until the season!! !